The data from Reidin, which has been analysed by the high-end broker Luxhabitat, suggests that the property market has already hit bottom and is on the way up again. Luxhabitat looked at apartment and villa sales in Arabian Ranches, Downtown Dubai, DIFC, Dubai Marina, Emirates Hills, Jumeirah, Jumeirah Beach Residence, Jumeirah Islands, Palm Jumeirah, The Lakes, Springs and Meadows, and Victory Heights. The figures show that the total number of homes sold in the city’s most-established freehold areas increased to 1,342 in the second quarter of this year, up from 1,215 in the first three months and more than twice the 607 recorded in the fourth quarter of last year. Luxhabitat also found that the total value of sales taking place in the areas monitored in the second quarter of this year was more than Dh3.2 billion, flat on the first quarter but double the low of Dh1.6bn in the final three months of last year. 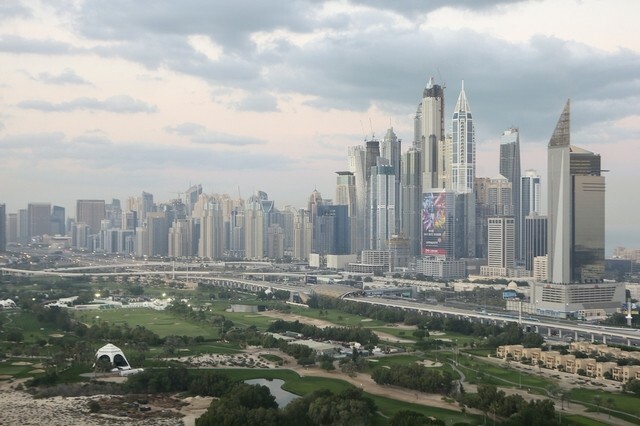 The increases came after seven successive quarters of falling sales numbers as house prices in Dubai continued to slump on a drop in the global oil price and an increase in the value of the US dollar, to which the UAE dirham is linked. “Recently, people seem to be more convicted that the next few months will be their optimum time to buy,” said Sally Ann Ghai, a luxury sales broker at Luxhabitat specialising in the Emirates Living area. “Over the last two years we have seen a high amount of window shopping, with buyers delaying to pull the trigger on a purchase because of uncertainty over the potential for even cheaper buys if they hang on long enough,” she said. Earlier this week data from Dubai Land Department reported that the number of transactions taking place during the first six months of this year increased by more than a fifth compared to the same period a year earlier, rising to 28,251 sales, mortgages and other transactions. Faisal Durrani, the head of research at Cluttons, said that after analysing Reidin data for the same areas he did not reach the same conclusions. “We certainly do not think that Dubai has reached the bottom of the market even in the most prime areas,” he said. On Monday, the broker JLL said it had revised its forecast for the recovery of the Dubai property market to the start of next year from the middle of this year after it said that Britain’s vote to leave the European Union would deter British buyers – the third largest group of foreign investors in the UAE – from purchasing homes in the city.